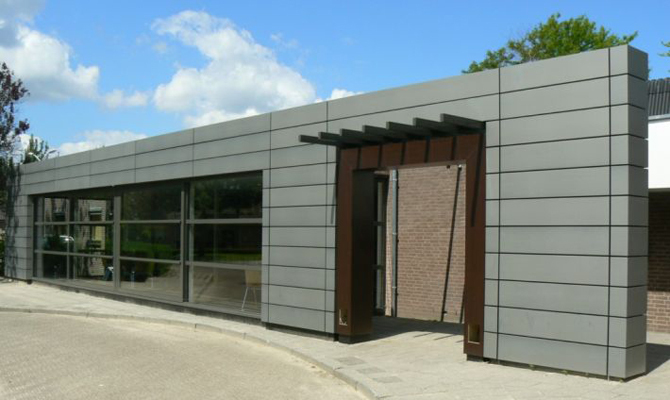 SIG Design & Technology Why is Zinc Roofing and Cladding so popular with Architects? 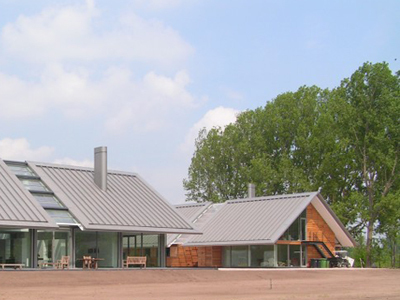 Why is Zinc Roofing and Cladding so Popular with Architects? We’ve had a lot of interest over the summer from architects wanting to use Zinc in their projects, and now the summer is drawing to a close, the interest does not seem to be abating. So much so that we’ve expanded our team of specification managers! Since we launched our new partnership with NedZink in the spring, we’ve been able to provide ‘fabricated in the UK’ Zinc systems. 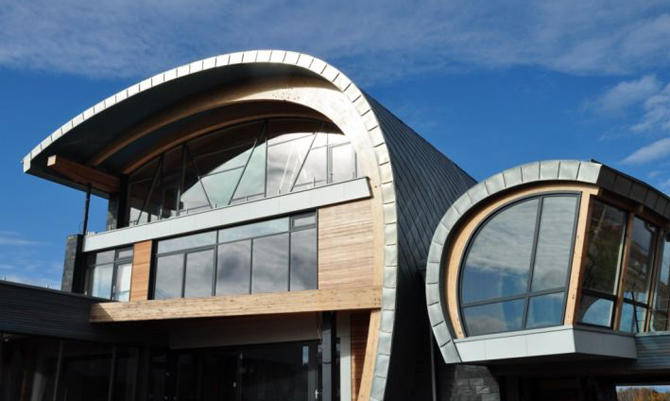 The service is supported by metal processing expert Steadman & Sons (an SIG company based in Carlisle) and Bolton fabricator Metal Solutions, enabling specifiers to get fast access to a comprehensive range of zinc roofing, cladding and accessories. So we can get high quality zinc roofing and cladding, fabricated in the UK, to projects nice and quickly, but why do architects like Zinc so much? These are our thoughts on the matter. There’s nothing like a real metal roof. It looks great, it photographs well and its crisp lines can really bring out the qualities of a building design. Zinc can look really spectacular. Today you don’t need to rely on time to create a good patina on zinc, and there are a range of finishes available. As well as the natural finish, NedZink comes in prepatinated finishes including NedZink NOVA, a lovely even matt finish, and NOIR, a uniform very dark grey version which can look nearly black on a roof. NOVA is also available in a range of textured finishes from grooves to fish-scales, produced by rollers during fabrication. We’re constantly surprised at the ingenuity of architects designs. They are always pushing the boundaries to create ever more beautiful buildings, and zinc plays its part in that. Because zinc roofing and cladding can perform well at pitches between 5 and 90 degrees, it can be used all over the building envelope. As a thin (commonly 0.7mm) material, it can be shaped to follow curves and angles, and is a perfect cladding material for your more unusual forms. Have a look at the gallery for examples of NedZink used in all sorts of ways. If you want to go below 7 degrees, you might want to switch to single ply membrane in parts of your roof. Because we’re not simply a single material supplier, our design service can help you integrate a zinc roof with other materials. Just get in touch with your questions and we’ll advise on the best options to bring the results you want. Zinc is weatherproof, corrosion resistant, and not degraded by Ultra Violet light. A patina on the surface protects it from moisture. As a result, zinc roofing and cladding has a very long service life, and can in theory last up to 100 years without degradation. There are examples of NedZink in both Belgium and The Netherlands in excess of 100 years. 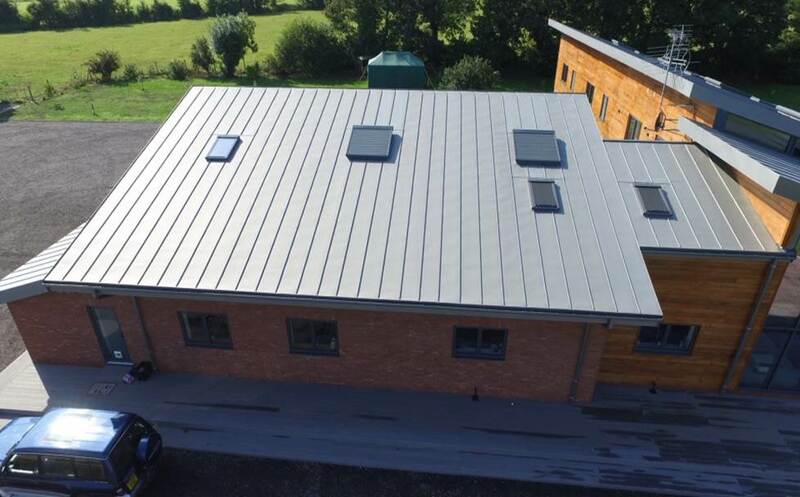 The long life of a zinc roof makes it cost effective when considering whole life costs, but in fact zinc roofing can also be cheaper to start with – it compares really well at the moment to alternative metals such as copper and lead (of course) and even stainless steel. The material is also 100% recyclable and takes just half the energy to produce from ore than steel or copper, and a quarter of the energy required for Aluminium. Compared to other metals, zinc is cost effective to buy, and this makes metal theft very unlikely with a zinc roof, unlike lead, copper or even stainless steel. SIG Zinc & Copper BDM Paul Cousins has never encountered a zinc metal theft incident in 20 years working with Zinc in construction. If you want a metal roof, zinc is likely to be the most cost effective, and the least likely to succumb to theft. If you want a zinc roof on your building, get in touch with us for a full impartial design and supply service. Full system guarantees are particularly popular with clients because it means if you do have any problem with your roof there is one point of call, and no problems between the material, accessories, design and fixing. Get in touch with us to discuss your zinc project and we’ll introduce you to Category Manager Simon Walker and BDM Paul Cousins who can answer all your zinc questions. Want to see the Zinc in the flesh? Apply for a set of samples here. Any questions? You can also comment below, and feel free to share this post with your colleagues if its useful. Please send us an estimate quote for supply and installation (replacement roof) for a roof around 200 m2 in Long Ditton ,Surrey. This is a 5 bed residence currently with tiles. One important fact about Zinc you have missed is that there are no pollutants to rainwater run off such as the oxides you get with copper or lead. Thanks for this Ian, yes you are indeed correct. There are run-off’s (Zinc Oxide) with zinc but these are not harmful to the environment in low levels. Could you give me a call/email to discuss a project in Newcastle. Is it possible to build a “green” roof (ie with plants) on top of zinc? It would be perfectly possible to make a roof what was a combination of zinc in areas and green roof in others. What led you to ask the question – is it an existing Zinc roof? Please contact us about a roof on a house in Rutland -currently a low pitch felt on wood. Thanks for contacting us Sue; we’ll be in touch shortly. I am a decorater and one of my customer does not like the grey colour of the zinc Can you paint over zinc to change the colour. Whilst it is possible to paint zinc, it is an unusual thing to do and we wouldn’t be able to guarantee the life of the paint. The undercoat would need to be water based and the paint should have a Ph of 5 or less. We recommend that you speak to a paint supplier to ensure that the paint you use is compatible. Can you tell me if : 1. if the weight of a pitched roof (at about 30 degrees) would be significantly less with zinc (compared to tiles) – and thus can the structure rely on reduced beam / joist thicknesses etc.? 2. how does cost compare with a cheap interlocking concrete tile / average flat clay tile. 3. can a completely water tight fit be achieved with velux windows. 4. do you have close-up pictures of gullies, ridges, velux type window integration and joins to existing brick work. Yes zinc is significantly lighter than roof tiles approx 6-6.5 kg/per m2 (excluding substrate). Please drop me a line at simonwalker@sigdandt.co.uk and we can look at the options for you. I’ve got a traditional red brick house in Nottingham, which I would like to have external insulation instal on and I would like to explore having an external skin of Black / Charcoal Grey zinc. Could this work where the house is insulated to to improve energy efficiency and comfort and look good? I am also exploring having aluminum double glazing install. Yep no problems with this. We need to maintain a ventilated cavity behind the substrate but I can’t see any issues. Are using an architect? Drop me a line at simonwalker@sigdandt.co.uk and we can talk about the details. I have a large roof to re-do in the south of France. It is approximately 600m2 and would look great in black zinc. Is there a big difference in price between black and silver zinc? Would black zinc make the attic hotter in the sun – it gets very hot near Toulouse. 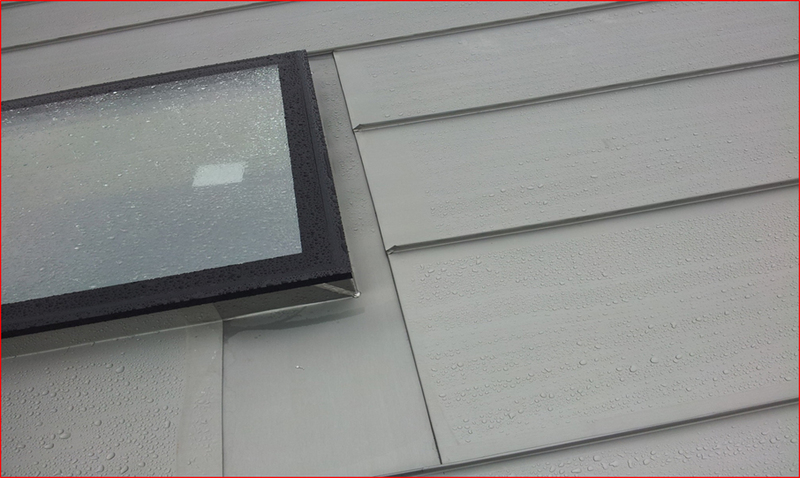 Although there is not much rain – would the zinc be ok/completely watertight with velux windows? The price differential between NedZink Noir(Black) and Nova (Grey) is less than 5%. Obviously NedZink Noir will get more solar gain, than Nova, effective insulation will resolve the issue of a hot attic. There is no issue dealing with Velux windows, a minimum of 80mm up-stand is required and I would not recommend using very wide Velux windows (1500mm +). We live in a broadleaf wood and our roof gets an awful lot of wet dead leaves covering it every austumn. Would this affect a flat zinc roof very much. We remove the leaves fairly regularly. You might get some localised staining during the Autumn due to contact with the leaves, but this will not affect the life of the product. By the way, along with regular maintenance, I would suggest the use of a gutter guard to stop leaves blocking the rainwater system. Hi, our project is on the west coast of Wales. We are within 1km of the sea, however we are fairly sheltered. How would a zinc roof fair in coastal conditions such as these? Zinc is a material which is regularly used in a coastal environments, if you review the promenade buildings from Dover to Portsmouth there is a considerable amount of zinc. Zinc is not affected like some materials with corrosion from salt laden water, you may see a slight discolouration which will be due to salt deposits on the surface but these will be washed off with rainfall. I would suggest that serious attention is paid to both the build-up and seam centres, wind loading may be higher even if the location is sheltered and ensure the project is installed by a suitably qualified specialist contractor. I hope that’s helpful, do get in touch about your project if you need more information. I am doing some elaborate designs for a shopfront,is it possible to create one in Zinc.? ie a traditional shop front in Zinc instead of Wood..
Hi Thankachan, yes this is possible but we would need to know more about the climate and the levels of humidity. Can you contact us via the contact form with more details? having an extension constructed, which will be our main living area, to our domestic property and a zinc roof has been suggested, is there any issue regarding noise level from rainfall, we live on the west coast of scotland. As with all metal roofing, without acoustic / structural membranes there is some element of rainwater noise, but Zinc is a fully supported and therefore significantly reduced in comparison to some other metals. Do get in touch if you’d like more detail on this. Recent Planning Application to refurbish and extend a bungalow in Essex with zinc roof and cladding on an open site in a residential road described by Planners as unremarkable with undistinguished houses, has been REFUSED as the form and cladding is ‘Alien. 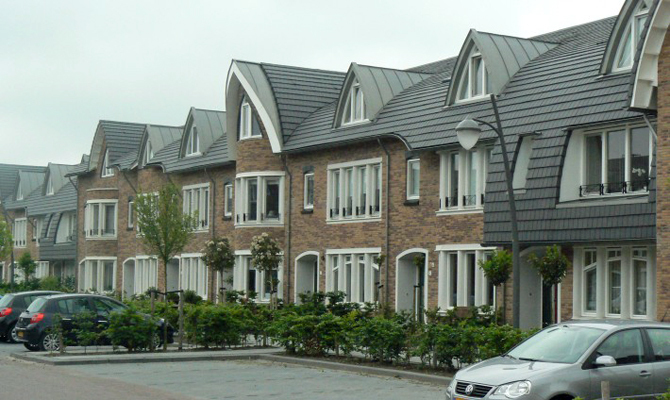 Despite the Design Statement emphasizing all the environmental attributes of the material, despite the design being lightweight and minimalist, despite the fact that we are in the 21st century and contemporary design is the way forward to 22nd century, planner wants a replication of a double pitched roof with flat roofed dormer wings. Has anybody any suggestions about how I can pursuade planners they are wrong, bigoted, biased and prescriptive? Unfortunately Planning Appeal upheld in an arbitrary and perverse fashion, the decision, but new planner has said he is delighted with zinc and high quality materials, but due to the Refusal and controversy in his office, he will not revisit the design. Hi we are buying a house that currently has an almost flat roof over an extension. The extension is approximately 4m deep and runs the width of the house (12m ish). Is there a minimum angle for a zinc roof? We could increase the angle, but probably by only a few degrees. Thanks for your question. We wouldn’t recommend a zinc roof below an angle of 5 degrees. If this isn’t enough there are other products available which would work at a shallower pitch and would enable you to make the extension roof a great deal more attractive. Get in touch via our contact us page with more details and we’ll make some suggestions. The ‘Zinc is beautiful’ House, is one of our projects in Melbourne Australia.? 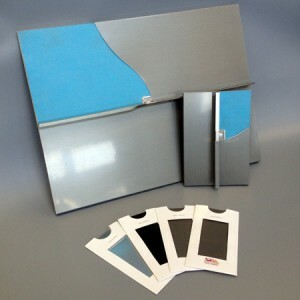 where did you get the photo?we got a lovely surprise when googling Zinc Houses. Thanks for commenting and yes the house is beautiful! The photo was supplied as an example by our partners at NedZink. It would be great to learn more about the project. We’ve emailed you to ask if you’d be interested in sharing more about the project, do let us know if you didn’t receive the email. I live in a Listed building, with permission to remove/replace existing plastic roof & lead flashing of the ‘sunroom’. Being south-facing, is zinc a suitable replacement for the lead, tolerant of high sunshine/heat levels, with velux windows inserted & can it be shaped/fitted under the hanging tiles where it meets the building? Does the grey zinc look similar to lead in colour? Do you make zinc guttering? Many thanks for getting in touch. Yes a zinc roof would definitely be suitable for this purpose, as long as the pitch of the roof was not below 5 degrees. 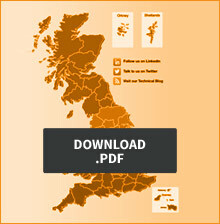 We also supply zinc guttering and ancilliaries and have a separate brochure for this in our downloads section. I have an existing concrete roof. Could you reproof by adding the zinc on top? Great article thank you. We’re currently considering different roof options for our proposed extension. How does the cost of a zinc roof compare to aluminium? Hi Chris, Aluminium will probably be cheaper, but is the aluminium product coated or painted? Zinc has a natural patina which offer excellent appearance and protection too. If you want to get in touch about the particular products you’re considering, drop us a line here (http://www.sigzincandcopper.co.uk/contact/) and we’ll give more detailed advice. Hi Simon, thanks for your enquiry, we’ll be in touch via email shortly. Is there any coating or a way to prevent white oxidization of the zinc in areas where water takes a long time drying after rain? The oxidisation is the patina formation, so stopping this would limit the life of the material. So It’s a no from me! I probably would question why water is holding in certain areas, water shouldn’t be holding at roof pitches above 5 degrees. Is it possible to fix solar panels onto a zinc roof? The answer is most definitely yes, we suggest the use of S5 seam clamps which can also be supplied by us. Please drop me a line at simonwalker [at] sigdandt [dot] co [dot] uk and we can look at the options for you. Thanks for your enquiry Pamela, we’ll be in touch shortly via email. 1. Is it a problem to use NedZink NOIR in coastal areas with rough climate half of the year? 2. Does NedZinc have any distributor in Norway or do you have any connections over here? I have only found Rhenzinc and VM Zinc so far. I require an approximate quote for 2.5 x 3.75m roof on a 12 degree pitch roof constructed from sip Panels. I am building a house which will have a standing seam zinc roof and I will want to install PV panels on this roof. I understand that the panels will be mounted on a frame which in turn will be fixed to the upstanding seams. The house is in an exposed location on the coast and is subject to gale force winds from time to time. I am wondering therefore how the zinc cladding is secured to the supporting boards and if there could be a risk of the cladding being damaged by the wind getting under the PV panels. One section of the roof is south facing, has a 26 deg. pitch and is reasonably protected from the wind but there is another section on top of the roof which has an 8 deg. pitch (north facing) and is much more exposed. The architect advises against fixing the panels to this section due to the risk of damage in high winds. What do you think? I am also wondering about the risk of an electrolytic reaction between the roof and the fixings for the PV panels. Please advise. Thanks. Hi Kevin thanks for getting in touch. This is a S-5 clamp application – we would recommend the use of the S5E clamp, see http://www.s-5.com. These clamps are specifically designed for this application and wind uplift figures are on the web-site. A wind uplift calculation would give you the definitive answer. We are currently getting water ingress on a extension roof, which was supposed to have a 12.5 degree pitch. We have been told by a roofing company that it is only 9 degrees, which is the reason for the water ingress. We also have several velux and sun tunnels in the roof. Would a zinc roof fix the water issue & allow us to keep the velux? I really don’t want to lose the light. Velux roof windows normally need a roof pitch of 15 degrees, according to their web-site. Roof domes would probably be a better option, but this enquiry really needs to be aimed at rooflight / dome manufacturer. However as far as the roofing material goes, Zinc will be fine down to 5 degrees, so you could certainly use zinc on the roof. If you need to contact us about the zinc side drop us a line at info [at] sigzincandcopper [dot] co [dot] uk and we can look at the options for you. We live in a 4th and 5th level duplex with an attractive dark zinc cladding to much of it. Unfortunately flocks of small birds also like it and we have a lot of unreachable ledges with droppings on. Will this cause any long term damage? Hello Marian, thanks for your question. It is highly unlikely this will cause any damage to the zinc. Some surface marking ‎may occur, but this should patinate out – depending on the manufacturer of the zinc and the finish of the material. We are currently having an extension which includes a large amount of external timber cladding. We have just thought about zinc (having watched Grand Designs) & found your site. Please could you advise of the benefits of Zinc over wood on a domestic build & also the difference in cost? It is difficult to comment on prices of timber as the prices will vary greatly dependant on species and method of cladding, I would suggest that angle seam cladding in a pre-weathered zinc will cost approx. £75-£100/M2 installed (excluding the substrate). There are also alternative products available at a range of budgets; if you’d like us to advise you further do drop me a line at simonwalker [at] sigdandt [dot] co [dot] uk and we can look at the options for you. 2 edges onto current house. Looking to fit zinc seamed roof sloping 30 degrees up at both sides to reach a peak on outer corner. I am self building a contemporary house, and want to put zinc cladding on the front of the building, taking the form of 1 m wide strips which will be 8 m high. Is this something we could perhaps talk about and supply? I am a self builder looking to get prices for a natural/ bright zinc roof , 200m2 roughly to the Wirral area backing onto a conservation area. can you advise what lengths you do ? a rough price for the natural zinc with no pre treatments or weathering. also delivery length as this is all running to a tight time scale. Hi I currently have flat roof plastic covered dormas front & back which I whish to cover in zinc could you please give me quote. I am just about to get plans drawn for a bungalow in County Down, N Ireland. I had thought of a pitched roof with concrete tiles but would consider a flat but sloped roof as I want a contemporary design. Can you advise on costs per sq meter please? We have a client putting a zinc roof on a self-build in Cornwall who needs to raise some additional funds to complete the job, however the lenders we are speaking to run a mile when we mention zinc roofs. Do you know any lenders who are not put off by zinc roofs? We are in the process of designing a roof system with a maximum pitch of 12 degrees and want to include a velux window. Is this possible with a zinc roof as we seem to have a lot problems with tiles. Yes it is certainly possible to have a zinc roof at between 5 and 12 degrees with a Velux roof window. If you’d like some assistance please drop us a line at info@sigzincandcopper.co.uk (with a drawing if you can). Hi, We have a 5.5mx4m wooden conservatory with a polycarbonate roof. We would like to convert the roof to zinc and include some glazing. Would this be possible? If so, do you work in Hampshire? Also, could you give me a rough idea of price? Great article. Zinc is an excellent material and we are finding more and more people asking about it. Is it possible to incorporate roof lights, such as Velux windows in a zinc roof, and if so how do you ensure the finish on the aluminium surfaces matches, or contrasts, with the zinc finish? Hi Roger, thanks for asking this question. It is possible to install zinc roofs with roof lights such as Velux, there are a few limitations for instance the size of the window cannot be any wider that 3 standing seams to ensure effective waterproofing. Zinc is a natural material with creates a patina on the surface this protects the material, unlike a painted aluminium with does not create a patina therefore it is not possible to exactly but we can get a similar finish if we know the RAL colour code of the rooflight flashing. I have attached a couple of images which will hopefully assist in the first instance.